Sad News to report. Please click here and read this page!! John de Lancie Biography by John. Where the Heck is John de Lancie? John's 25+ Years in Show Biz! We Want Q in the Next StarTrek Series and Movie! John just finished a successful run of the play "Art". He finished his Alien Voices Production of "Spock VS Q The Sequel". It is available in book stores now. "Note as of 7/28/2005: One place to find audio CDs of Alien Voices productions is at this web site: "Lodestone Catalog" Or check at Amazon.com for CDs, audio cassettes and books. Click on me to play Star Trek Voyager Theme in midi! Click on me to play Sailing by Christopher Cross in midi! Why Sailing? This is one of John's favorite things to do to relax from his hectic schedule! John was born in Philadelphia on March 20, 1948. He is 6' 4" with dark brown hair and wonderful dark brown eyes. John graduated from Kent State University in the early 1970's and later attended Juilliard. John worked initially at Stratford, then Seattle Repertory. Then he worked for Universal doing episodic television. John arrived in Hollywood in October of 1976. John is married to actress Marnie Mosiman, who played 1/3 of Riva's chorus in Star Trek's "Loud as a Whisper" and has two sons, ages 13 and 14. John is an actor, director, writer, voice-over artist and drama teacher. He recently has formed "Alien Voices", a company with Leonard Nimoy, which is performing classic science fiction stories the way they used to be done on the radio. Alien Voices is a must see site! Click on Alien Voices above. John is an Associate Director of the L.A. Theatre Works and producing arm of KCRW/National Public Radio. At which he directed plays as Fallen Angel, The Waldorf Conference, Invasion From Mars, and When Welles Collide. John has also acted as Cassius in the BBC production of Julius Caesar with Richard Dreyfuss and Stacey Keach. John used his voice for a character (Dr. Death - a bad guy, believe it or not) in a game called "Outlaws", from LucasArts. The many roles played by John de Lancie as Q! John as Eugene Bradford on "Days of Our Lives"
On the Newlywed Game! Name your best body part, John! 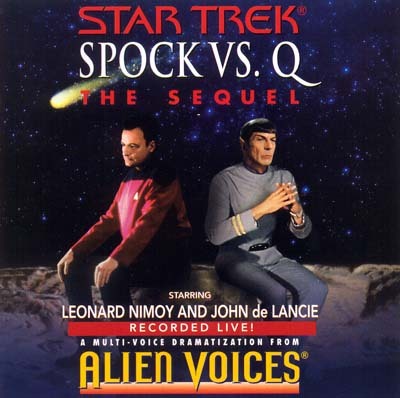 John's Alien Voices company has released their "Spock VS Q." The audio book features John de Lancie and Leonard Nimoy, they reprised thier famous roles for this fun romp in order to save the earth from the same faith as the dinosaurs. Who will win this war between logic and chaos? Alien Voices will be recording Spock VS Q The Sequel in Kansas City for release this Christmas! So watch for it at your favorite book store. John on acting: "As an actor, it's my job to take the two-dimensional character created by the writers and make it three-dimensional." He has definitely accomplished this with his character of "Q" on "Star Trek Next Generation", "Deep Space Nine" and most recently on "Voyager." Classically trained at Juilliard, de Lancie said he does not get into the role of Q as much as he allows Q to get into him. de Lancie said, "There are similarities between myself and Q." John continued by saying that Q was someone who was "mad, bad and dangerous to know" -- a famous description of Lord Byron. According to John, for Q, it was mad, meaning fun; bad, being naughty; and dangerous to know being that he's real hard ball, watch out. It's not easy being "Q"! However, knowing John as I do from working with him on his Alien Voices Web Site, my perceptition of John is that he very sane, a good and caring man, a very talented and versatile actor and is a real pleasure to know. I would say that John is a very protective, sensitive, nurturing husband and father. He is extremely courteous and polite with a wonderful sense of humor. He is down to earth which makes him extremely easy to talk with. John sees himself as a versatile character actor. He is very adept at being a character actor but he could be a fine leading man as well. Just when you think you have his character figured out he changes course on you. He loves to do that to his characters. So what is John doing these days? He is a busy man, working on writing, directing and acting in his Alien Voices Productions. John is a hands-on type of person. John writes the adaptation scripts they use for Alien Voices. He hires the actors he wants to work in his productions and he directs their efforts in production. Then he works with the post production people until he is satisfied with the final production before sending it on to Simon and Schuster or before they perform their live production. John has become a triple threat. He can act, write and direct a production. Watch for more Alien Voices productions on TV and NPR, National Public Radio, and Take5.com. John has just recently written 2 books, "Star Trek I, Q" with Peter David and "Solider of Light" with Tom Cool. They are great books. Pick a copy today. "Star Trek I, Q" is available in an audio book. 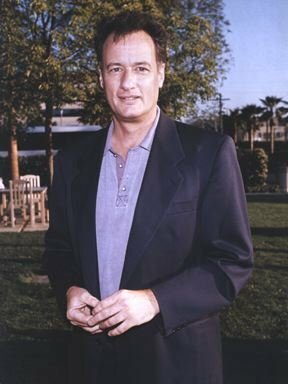 John de Lancie also makes it to several Star Trek and Sci-fi conventions around the world. He is always the crowd pleaser with his witty reparte. He is a great storyteller and enjoys putting on theatrical performaces like diner theater. John even signs autographs at the shows. John playing "Q" the omnipotent! 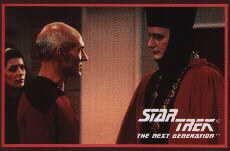 "Q" enjoys manipulating Captain Picard and the crew of the Enterprise! John is a board member for this worthy and worthwhile charity. Thursday's Child Online "A New Dimension in Helping Children" Thursday's Child is an international (now with the Internet) charity, which assists at-risk teens and their families though counseling, information and referrals. Please Click on the above banner to vote for my site! 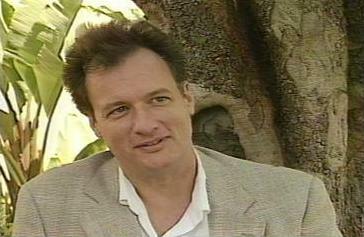 John de Lancie. Please e-mail me your list! This home page created with Web 3D from Asymetrix. 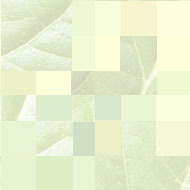 "Mary Jensen, the creator of this web page tribute, died on March 3, 2001. May you rest in peace and in God's arms Mary."